Manthi is a lead investor in Portfolia’s Rising Tide Fund, Portfolia Consumer Fund and Portfolia Enterprise Fund. Manthi led the Rising Tide’s investments in Unaliwear and Envoy and co-led its investments in Tenacity and OtoSense. She led the investment in B.Well in the Enterprise Fund. Manthi is one of the most active deal syndicators in Silicon Valley, putting together investments across the Band of Angels, Sand Hill Angels, and Sierra Angels. Manthi and her husband Jim, run their own early stage investment company. Manthi has led investments in 30+ deals in the past 5 years, and served as acting CEO at Peloton Trucking. Ms. Nguyen was involved in a series of early startups developing routing, and networking technologies that were later acquired by NEC, Cabletron, Tut Systems, and Cisco. In the early part of her career, Ms. Nguyen was part of General Motors Advanced Manufacturing Research group working on developing technologies for office and factory automation. She participated in developing international standards for Open System Interconnect with National Institute of Standard and Technology (NIST) and International Organization for Standardization (ISO). Ms. Nguyen worked on modeling of business process, information flow, and supply chain management for the General Motors enterprise. Ms. Nguyen's experience at General Motors was invaluable in helping her build the foundation of understanding for how technologies are applied to solve real life problems. 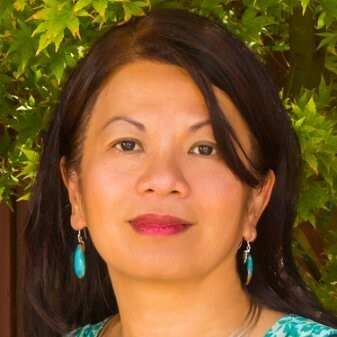 In the last 15 years, Ms. Nguyen has brought her executive experience to focus on small businesses, mentoring entrepreneurs and angel investing. Ms. Nguyen received her Bachelor of Science from University of Washington, and her Master of Business Administration from University of Michigan.